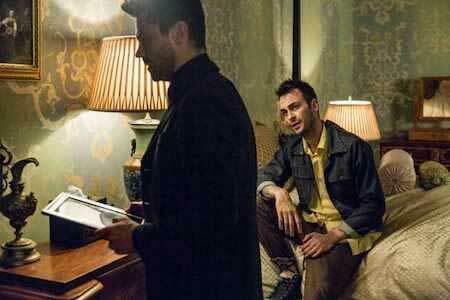 Joseph Gilgun wears black high top Converse All Star “Chuck Taylor” sneakers in the series. 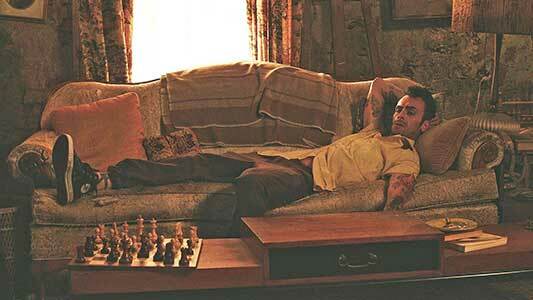 Cassidy the Vampire played by Joe Gilgun. When you search for God, you tend to go to your local preacher. Well, when a preacher looks for God where does he go? The AMC series Preacher follows one man on his journey across the USA to literally find God. Based on the Vertigo comic of the same name, this show combines horror, myth, comedy, and gore in a fun take on what it means to truly find God. Cassidy befriends an old man in New Orleans. 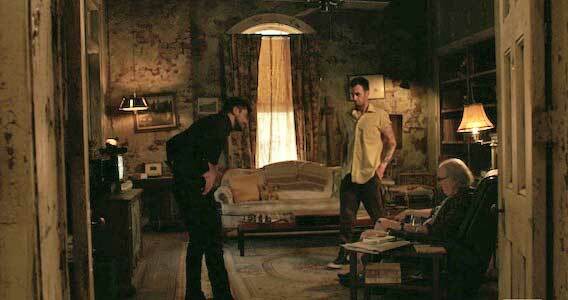 The show follows Jesse Custer (Dominic Cooper), a preacher in a small Texas town. Custer has lost faith in his preaching, and begins to question if God is really there. He decides to leave the church until he is possessed by a supernatural creature called Genesis. Genesis is the unauthorized spawn of an angel and a demon. This makes Genesis composed of both pure righteousness, and pure evil, and this power might rival that of God’s. Jesse is driven by this strong sense of right and wrong, which leads him to travel across the United States to literally find God, who has left Heaven ever since Genesis was born. During this journey, Custer begins to discover the scope of his new powers. They allow Jesse to command those who hear and comprehend his words to do whatever he says, whether right or wrong. 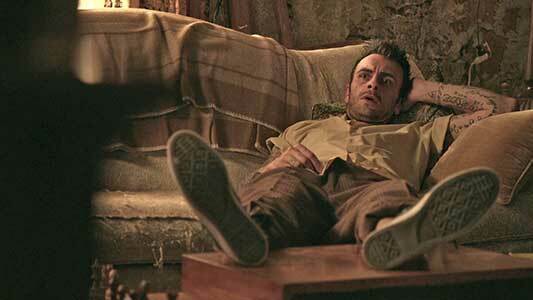 He is joined by his old girlfriend Tulip O'Hare (Ruth Negga), as well as a hard-drinking Irish vampire named Cassidy (Joe Gilgun), who wears chucks in the shows second season. Cassidy is proud to join Jesse on his quest to find God. The show’s first season has its main focus on Jesse’s new powers, and how they affect those around him. The first season ends with the revelation that God is missing, and no one knows where he’s been since the birth of Genesis. This sets up Season 2’s main arc of Jesse’s search for God, accompanied by Cassidy and Tulip. Their search barely gets underway when they are attacked by the mysterious Saint of Killers (Graham McTavish). He is hunting down Jesse for reasons unknown, which mean that this quest to find God may be the trio’s last. Cassidy and Jesse with the old man. The show is great mash up of comedy, horror, supernatural, and spiritual elements. Ruth Negga shines as Tulip, and Joe Gilgun is both terrifying and charming as the blood-loving, chuck-wearing vampire Cassidy. Dominic Cooper has certain charisma that fits the character of Custer perfectly, and really commands the screen when he puts on his clerical collar. The blood and gore of the show is similar to AMC’s other hit series The Walking Dead, but this show stands out for its use of humor and spiritual elements. The coloration of the show is another standout aspect as it looks so much different from anything else on TV right now. 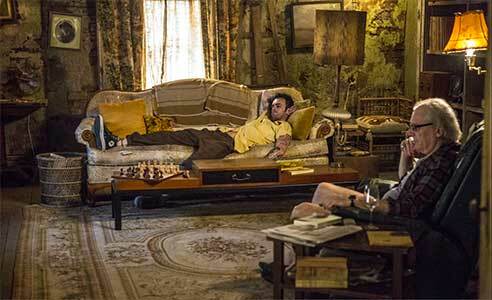 Preacher combines so many elements together that you would assume that it just wouldn’t work. However, this show uses them all well and at the right time to create a fun, horrific, and different atmosphere that does justice to its source material. Cassidy wears black high top chucks throughout the second season.